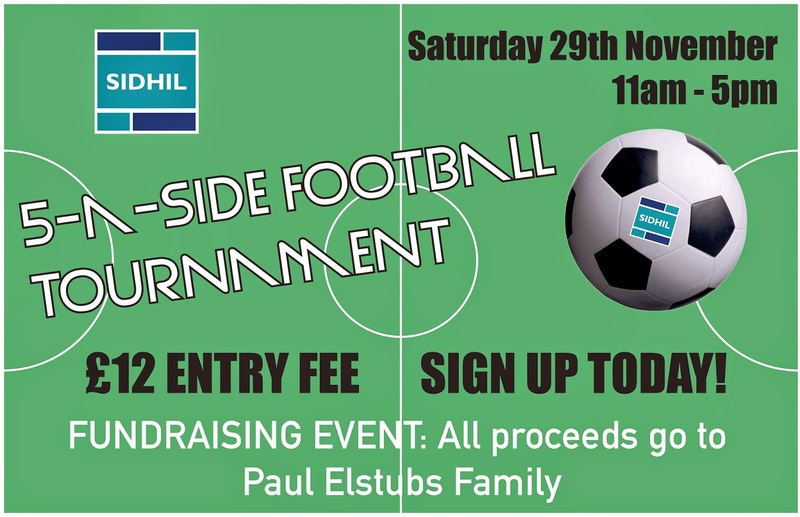 This is a Fundraising Event in honour of our friend and colleague Paul Elstub, all proceeds will be donated to his family. PLEASE SIGN UP - WE STILL NEED PLAYERS!! If you would like to join in then let Kim Robinson or Tony Craddock know as soon as possible. We need helpers and supporters on the day, please bring family and friends! !